Hi everyone, and welcome to My Week Unwrapped, where I talk about what I’ve been playing over the last seven days. Most of the games I’ve been busy with aren’t releasing until later this week, but you can pre-order almost all of them right now, so I still want to talk about them. It’s going to be a crazy week, so might as well start planning out which games you’ll play, right? So let’s get straight to it. 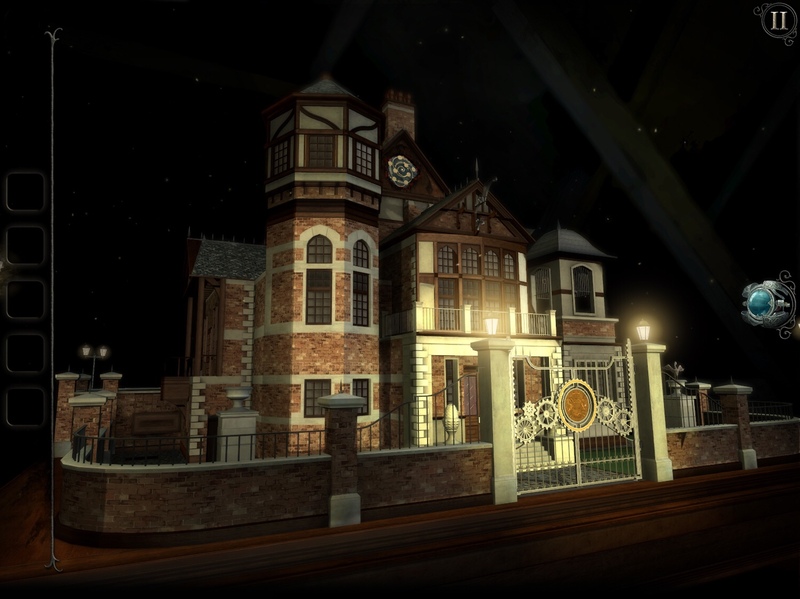 I know you’ve all been waiting for the latest game from Fireproof, The Room: Old Sins, so try not to be too jealous when I tell you I’ve played it already and it’s a solid addition to the series. You can read more about it here (though not too much, because spoilers) and I’ll have a full review along with some gameplay video when it releases on the 25th. You can also pre-order it now if you can’t wait! Have you ever thought, “why isn’t there a point-and-click adventure game made out of well-known Renaissance paintings?” Well, then you’d be surprised to learn that there is a point-and-click adventure made out of well-known Renaissance paintings, at least since last year. And on PC. But if you find PCs to be dirty, disgusting things — like I do — you’ll be happy to know that it’s coming to iOS devices this week! And I got to play it early (sorrynotsorry). It’s not a long game, but I had a lot of fun with it and hope the developer makes a sequel. You can read my short preview of it here and I’ll hopefully have a full review ready for its release on the 25th. You can also pre-order it now so you don’t forget! Yes, I’m still playing Meteorfall. But I haven’t been able to beat the game yet with either melee character. But I did manage to capture some video of the end of the game with Greybeard the Wizard to show off his mad skillz. This is yet another game you can preorder before it’s January 25th release date and you should do that! I was pretty much done with my written walkthrough of Rusty Lake Paradise last week, but now I finished all my videos. It’s a solid addition to the franchise with logical puzzles and plenty of weird stuff going on. The underlying theme is the ten plagues of Egypt, which makes a lot of sense for the series. I thought some of the bonus achievements were a bit annoying to find, and would have appreciated the ability to skip puzzles when replaying a chapter. But overall, it was an enjoyable game. You can see my full walkthrough here if you need help. Noodlecake’s It’s a Full of Sparks is a stylish and well-made speed-running plarformer. If you like reflex-based games, this is a solid choice, but I do recommend switching the controls from buttons to floating joystick. I’m not sure why that isn’t the default, but I almost tossed the game altogether because of the on-screen buttons before I noticed the alternate controls. I’m still not very good at it and find it frustrating, but that’s how I usually feel about reflex-based games. It’s still worth checking out, especially since there’s a very generous monetization system in place. You get fifteen lives for free and can then watch a video ad for fifteen more or just unlock unlimited lives for $2.99. You can watch my gameplay video below if you want to see what it’s like before downloading. 10Tons’ JYDGE is a futuristic twin stick shooter in which you play as a sort of Robocop that can change our weapons and armor pieces to personalize your play style. The levels are short with secondary goals that earn you medals. I played first on my iPad and found it awkward to control on a big device, so I was hoping to switch to my iPhone. It turns out it doesn’t have iCloud, so I had to start over on there. It does feel better on my iPhone, but I didn’t make any video of it. I need to spend more time with the game before I can give my impressions, but check out my gameplay video below to see if it’s something you might be interested in. I’m still spending way too much time playing Aaron Steed’s Six Match, which I reviewed last week. I don’t have video of it, but my new high score is over 6,500. A game like that can last a long time, so it’s hard to capture it on video. But I am still playing and trying to get an even higher score. If you haven’t checked it out yet, you really should. It’s free to download, so you have nothing to lose! And last, I got a copy of Dropout Games’ WayOut ahead of its January 25th release. It’s basically a variation of Lights Out, which you’ve probably played in some form in a puzzle adventure game. You tap on a tile and it changes color, along with all the tiles around it. The goal is to turn them all white within a certain number of moves. The move counter is optional, though, and you can ignore it if you’d like. Each chapter adds new mechanics, such as tiles with arrows on them that only change the tiles in the direction the arrows are pointing. Or tiles with dots on them that only change if you tap them directly. It’s not my favorite type of puzzle, but the game is well-made and in portrait mode, which is always a bonus for me. You can watch my video below to see it in action. And that’s everything I’ve been playing this week! I should have several reviews up when the January 25th games release. It’s quite a busy week, so clear your schedules! And I’ll see you here next time for more of My Week Unwrapped!